Your gift to the Young Leaders in Action Fund with the Community Foundation of Northeast Iowa will support leadership educational programs for Black Hawk County students. Your gift to the Rick and Cathy Young Scholarship Fund with the Community Foundation of Northeast Iowa allows the Community Foundation to award financial assistance to students pursuing higher education. As the cost of tuition continues to rise, it is more important now than ever to diminish the barrier of affordability and allow students to focus on what is most important - their education. Your gift to the Young-Magid Fund with the Community Foundation of Northeast Iowa will support the beautification of the Waterloo downtown and residential areas, with an emphasis on planting trees along street areas. Your gift to the Youth Pavilion Endowment Fund with the Community Foundation of Northeast Iowa will help support the Phelps Youth Pavilion of the Waterloo Center for the Arts programs and operations needed to serve youth in the community through artistic education. Your gift to the Lewis L. and Phyllis Zager Family Fund with the Community Foundation of Northeast Iowa allows recommendations for grants to be made each year to support charitable causes that carry out the mission of the Community Foundation. Your gift to the Lary D. Zearley Science and Scholarship Fund with the Community Foundation of Northeast Iowa allows the Community Foundation to award financial assistance to students pursuing higher education. As the cost of tuition continues to rise, it is more important now than ever to diminish the barrier of affordability and allow students to focus on what is most important - their education. Your gift to the James "Jim" Zehr Memorial Scholarship Fund with the Community Foundation of Northeast Iowa allows the Community Foundation to award financial assistance to students pursuing higher education. As the cost of tuition continues to rise, it is more important now than ever to diminish the barrier of affordability and allow students to focus on what is most important - their education. Your gift to the Richard and Helen Zellhoefer Family Fund with the Community Foundation of Northeast Iowa will support the programs of the Waterloo Public Library and the Waterloo Center for the Arts, bringing the benefits of reading and art to the visitors of both organizations. Your gift to the Carl B. and Lou Anne Zimmerman Fund with the Community Foundation of Northeast Iowa will help to support the charitable activities of the Winnebago Council of the Boy Scouts of America.  Your gift to the David and Karen Zwaniger Family Fund (Fund A) with the Community Foundation of Northeast Iowa allows recommendations for grants to be made each year to support charitable causes that carry out the mission of the Community Foundation.